There is no greater proof of the universality of jazz and classical music than that which embodies the career and life work of Federico Britos. 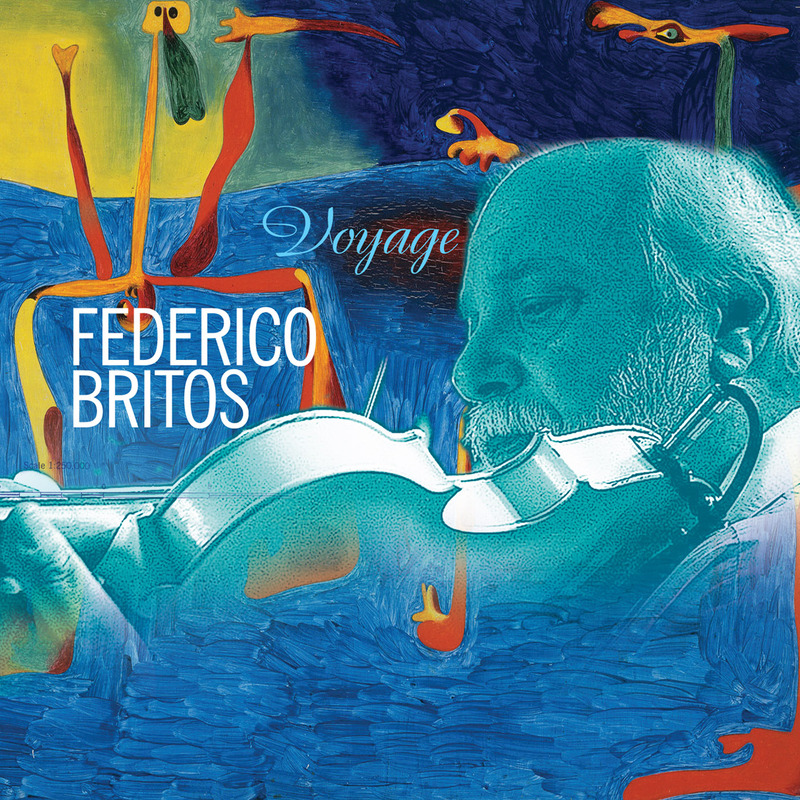 This titan of the violin, who is as equally adept within the world of jazz music as he is in the classical realm, has built a solid reputation throughout the Southern Hemisphere of the Americas. 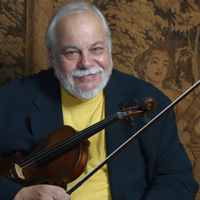 Born in Montevideo, Uruguay, Federico began playing violin at age five. George Boulanger, Rumanian violinist, while touring in Uruguay, premiered one of his musical pieces "Capricho Uruguayo"; Federico was eleven years old at that moment. He had the opportunity to meet and perform for David Oistracht and Jasha Heifetz at his teacher's home, Adolph Bornstein. Both of them agreed that he was a gifted musician, capable of playing classic and jazz as well. Serving as principal chair, soloist, and ultimately Concertmaster with some of the great symphony orchestras of Uruguay, Venezuela, Peru, Cuba, and United States (Miami), Federico has toured extensively throughout the Americas and Europe. He would, in time, not only perform with some of Latin America's greatest musicians, such as Astor Piazzolla, Horacio Salgan, Bola de Nieve, Cachao, Joao Gilberto, Dorival Caimi, Vinicio de Moraes, Armando Manzanero and Tania Libertad. He would also have the opportunity to share his outstanding talent with Dizzy Gillespie, Dexter Gordon, Duke Ellington, Nat King Cole, Woody Herman, Benny Goodman, Bucky Pizzarelli, Charlie Haden, Ken Peplowski, Eddie Higgins and Charlie Byrd. He has toured Europe with the Hot Club USA and Franck Vignola. As a composer, Federico has written and recorded many works for orchestra, chamber ensemble, ballet and dance. He has also composed music for films, TV and theater. His never-ending inspiration is only comparable to his never-ending skill to improvise. Federico has performed at various Jazz Festivals, such as: Montreux Jazz Festival; San Francisco Jazz Festival; International Jazz Festival in Espoo, Finland; Bern and Basile Jazz Festival (Switzerland); North Carolina Jazz Festival; New Bern Jazz Festival; Miami Jazz Festival; Boca Raton Jazz Festival; Puerto Rico Jazz Fest; Regatta Bar Jazz Festival (Boston); Summit Jazz Festival (Denver, Colorado); A Celebration of American Fiddle Music (Troy, NY); Django Reinhardt Festival at Birdland Jazz Club in New York and Miami Beach World Music Festival. He played as a special guest in The Grappelli Legacy on December 1998 at Carnegie Hall on the first anniversary of Stephane Grappelli's disappearance. Performed in the Concert Hall of Kennedy Center in Washington in a program called "AMERICANOS", along with Cachao, Nestor Torres, Jose Feliciano, Juan Luis Guerra, Gloria Estefan and Paquito D'Rivera, produced by James Edward James Olmos. Recently recorded with Cachao, Grammy awards winner. This record "Cuba Linda" was also nominated for the Grammy. He has also recorded with Charlie Haden in his two last productions. He has been touring with Charlie Haden, promoting his latest CD "Nocturne", Grammy awarded this year. Federico's "Jazz-Ta" will be published shortly, and the one recorded under the label Mini-Records "The First Danzon" with the group Danzon by Six has been already released. Both of these productions were recorded under his musical direction.